Scrubs are so important for your skin and today I thought I'd share a product I added to my skincare routine a few months ago. As I was researching for this post I discovered that St. Ives have rebranded and re-released this scrub. 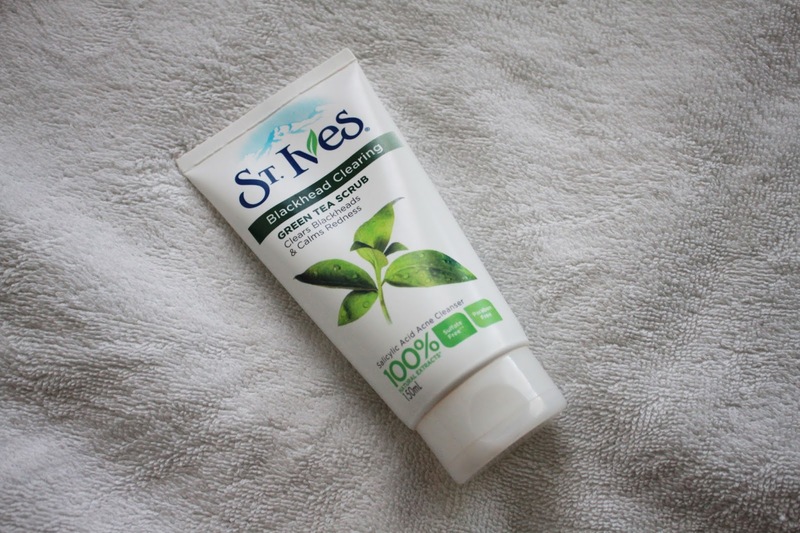 I am unsure whether the formula is the same, but I thought I'd share my findings on St. Ives' Blackhead Clearing Scrub anyway! I bought this scrub because I was struggling with blackheads across my nose. I noticed an immediate difference after the first use and my skin gradually improved with continued use. I currently use it once to twice a week, depending on what I feel my skin needs. This scrub is cool and invigorating. It removes redness while gently exfoliating my skin. The green tea scent is fresh and perfect for waking you up in the morning! I'm enjoying using this in my skincare routine and feel it keeping my breakouts and blackheads at bay. Have you tried this scrub before? Or have you tried the new one (linked below)?